In 1522 her dream was made a reality. Anne Boleyn became the second queen to King Henry VIII. 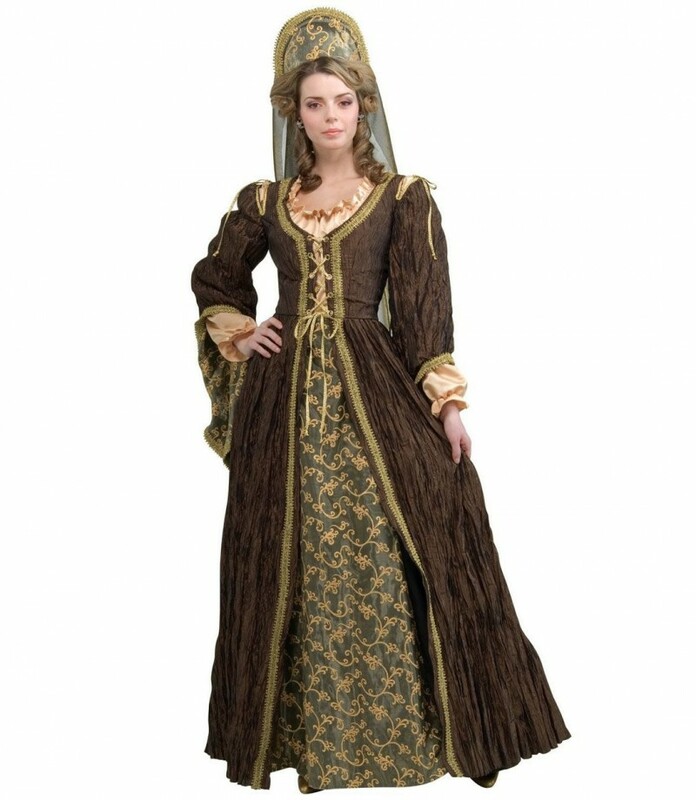 Create the scene to your very own fairytale-come-true dressed as Anne Boleyn for your next Halloween party or renaissance fair. Includes a brown and olive green dress with lace-up bodice and gold trim. A coordinating headpiece is also included to complete a costume that is a crowning achievement in design. Check out the rest of our selection of royal robes to find the perfect look for you!